Flying high from the 2008 Summer Olympics, Beijing continues to be a prime location to send clients for the ultimate Asian experience. From the substantial culture to the magnificent architecture and entertainment, this Chinese wonderland offers a memorable visit for everyone. The second most populated city in China, Beijing is a noteworthy blend between the delicate balance of nature and mankind. Proud of their past, the Chinese maintain the city with utmost care, making sure to incorporate it into the social and economic boom that has come to define their wondrous society. Shopping is one of the most popular endeavors in Beijing, with the heart of it lying on Jinbao Street and Jinbao Place. Revolving around luxury, international brands are featured in clothing, watches, jewelry and accessories. Duty-free stores can also be found, saving you a little bit of money from the national tax. After several years of having its doors closed for renovations, the National Museum of China recently reopened to the public. The 600,000 square foot complex is home to over a million cultural and historic artifacts spanning over three floors, all contained in 49 rooms. Finding an aquatic paradise near Beijing isn’t a difficult task – roughly 23 miles from Tiananmen Square lies the Qinglong, or Green Dragon, Watertop Paradise. The park offers visitors the ability to para-glide, ride in high-speed motorboats, yacht, captain their own boats or take a break in a rowboat or a pedaled boat. For the authentic Chinese nature experience, be sure to check out Yuyuantan Park in the Haidian District. Over 300-acres, this region is home to lakes and gardens that were once considering imperial fishing ground to the Liao Dynasty. 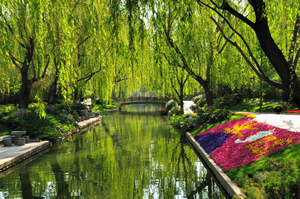 It also boasts a marvelous cherry blossom garden, one of the biggest in China. When it comes to dining, Beijing offers a cultivated array of food. Some meals that you would otherwise rarely try are offered – duck, anyone? Similar to any other modernized country, though, Beijing caters to international flavors, too, predominately featuring American, European, Arabic, and other Asian dishes. Beijing’s after hours scene is a great place for those who thrive when the sun sets, offering the best venues for those who love hip hop, dance, or just being out and seen about with friends. Some of the most populated clubs have been compared to those in Los Angeles and San Francisco, but offer a twist – sample a variety of European foods to enhance the mood. Getting around Beijing, like any other major city in the world, can be done in a multitude of ways – taxi, subway, bus, bicycle, airports, trains, and of course, renting a car. Transportation, while hectic at times, is extremely sophisticated, and you will have no problem getting to and from your destination. 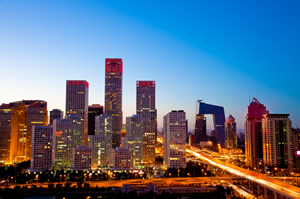 Explore Beijing with GTT Global Sales! 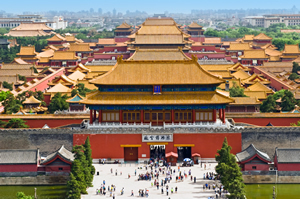 New DL Flights to China & High Commission Special! Click here for more information.